This small barrier island sits off the southwestern coast of Florida in the United States. 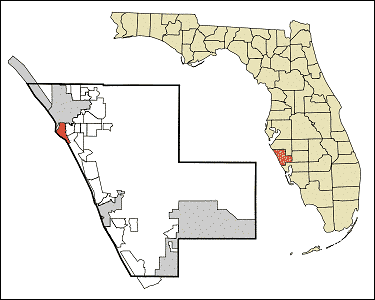 It is situated between Roberts Bay and the Gulf of Mexico.Sitting on the southwestern coast of Florida. The barrier island of Siesta Key is a popular vacation spot among domestic and international tourists, due to its outstanding natural beauty and gorgeous beaches. Shallow water depth in the near shore area together with year round lifeguard protection, makes this one of the safest beaches in the county and great for small children. A Small White Sand Beach in the USA? The island measures 8 miles in length and sits in between the Gulf of Mexico and Roberts Bay. You can find it just off the shore of Sarasota County Florida, but it is connected to the mainland via two bridges. 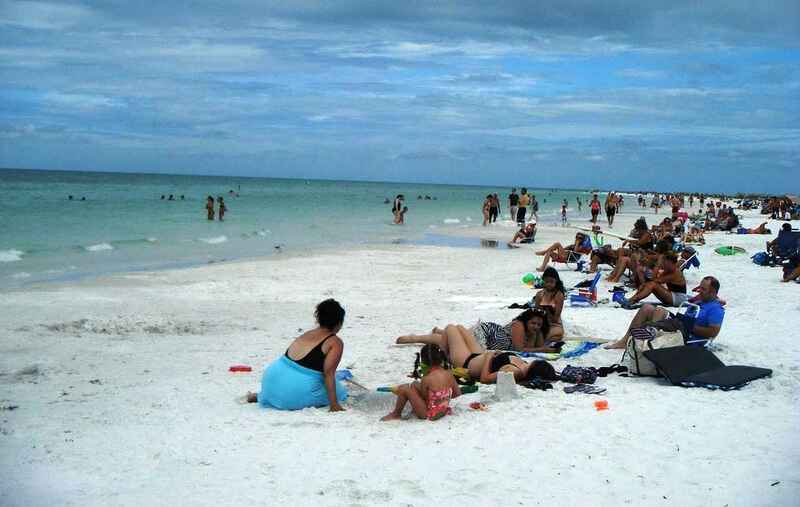 Siesta Key Island is gifted with a fantastic ambiance and some of the finest white sand beaches in the country. Aside from the magnificent sandy stretches, the island is populated by a wide range of resorts, shops and restaurants, making it a very notable tourist hub. One of the Best Beaches Anywhere! Considered one of the most popular beaches in the United States, Siesta Key Beach never fails to impress its visitors with its serene beauty and clear water. For avid fans of this public beach, the texture of its sand makes its quite distinct from other sandy stretches. The sand is 99% pure quartz, crushed quartz crystal. Siesta Key’s sand is so powdery that it feels like baby powder on your feet. It sparkles under the heat of the sun and stays cool during the hot summer days. Siesta Beach’s, (sometimes known as Siesta Key Beach) famous sand is also ideal for sculpting and is the reason the island hosts sand sculpting competitions every year. Another excellent feature of the beach is its huge size. It is wide enough to accommodate a large crowd and various beach sports like Volleyball and Frisbee. The local community does a great job cleaning Siesta Key every morning. Thus, you can be assured of a consistently well-groomed beach upon your visit. This very prominent Florida beach exudes an active and free-spirited vibe because it is regularly visited by writers, artists, musicians and nature lovers. In fact, the setting is so free and liberal here that people in sandals and swimming suits are accepted in all restaurants and shops all over the island. On top of enjoying Siesta Key’s beaches, there are a variety of activities you can experience while on the island. Outdoor activities like fishing, cycling, boating, kayaking, scuba diving and snorkeling are regularly conducted. On drier land, you can also challenge yourself to games of golf and tennis. Siesta Key celebrates culture and arts. So it is not surprising that there is a strong presence of galleries, musical symphonies, and museums on the island shore. When the sun sets and the night creeps in, some parts of Siesta Key become vibrant party scenes. You are given a wide range of options when it comes to choosing a bar, restaurant or club to spend a beautiful evening at. One prominent dining and shopping complex on the island is called the Siesta Key Village. This commercial complex makes a very viable destination to head to after spending most of your day on the beach. Siesta Key is the perfect romantic spot for couples and honeymooners. But take note that it is also a very versatile island that can cater to families and adventurous travelers. Most of the accommodation choices on the island including vacation rentals are just a stones throw away from a beach or bay, so the shimmering sea is always within your reach.